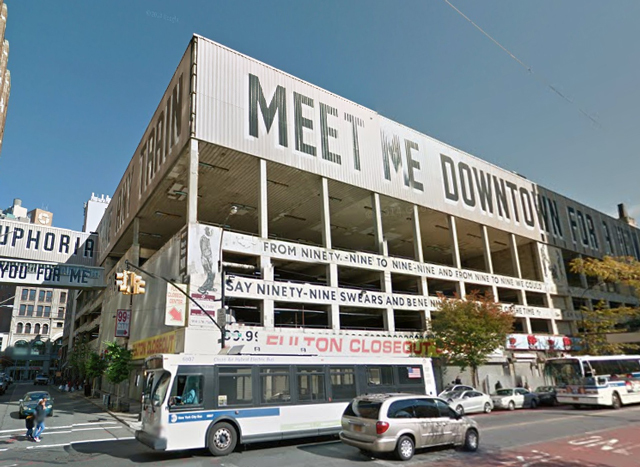 Downtown Brooklyn’s Macy’s parking garage redevelopment is finally moving forward, and applications filed with the Department of Buildings show that the new tower will rise 664 feet and 51 floors to its rooftop. The existing structure will be reduced down to one floor, then rebuilt into the tower. There will be a 150-car garage in the cellar, 99,652 square feet of retail between the cellar and first floors, and then 586,141 square feet of residential space up above, to be divided amongst 476 condominiums. Tishman Speyer is developing, and Hill West Architects are behind the plans, which were first spotted by Brownstoner. In August of 2015, news broke that Tishman Speyer was acquiring five stories of Macy’s nine-story commercial building at 422 Fulton Street, along with the parking garage at 11 Hoyt Street/217 Livingston Street, in Downtown Brooklyn, for $170 million. Macy’s is expected to consolidate their retail space into 278,000 square feet on the lower half of the building (basement through fourth floors). Speyer would then expand and convert the upper portion into 10 stories of office space. The Wall Street Journal now has the first glimpse of the renovations, which Speyer has agreed to fund (as part of the deal), that will go into Macy’s portion of the building. 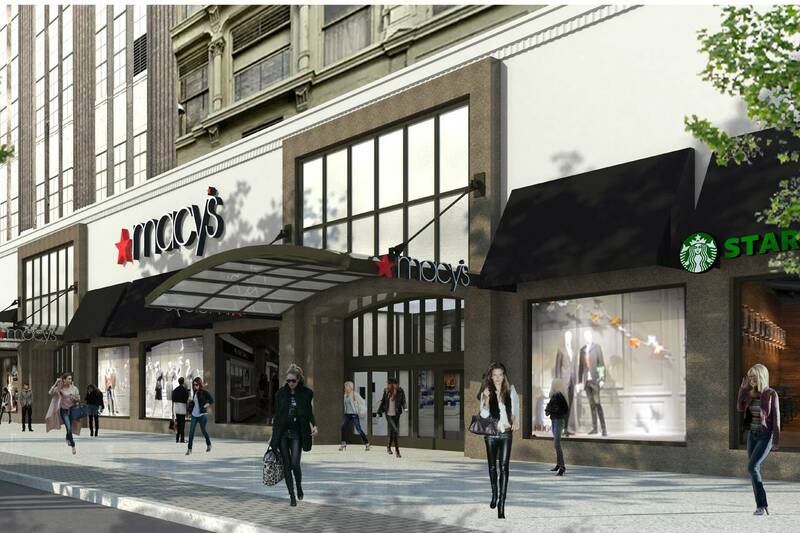 Macy’s and FRCH Design Worldwide are designing their space. Work is expected to begin imminently, and the renovation is expected to be complete in 2019. It was recently reported that Speyer would be utilizing the EB-5 program to raise roughly $60 million in financing. 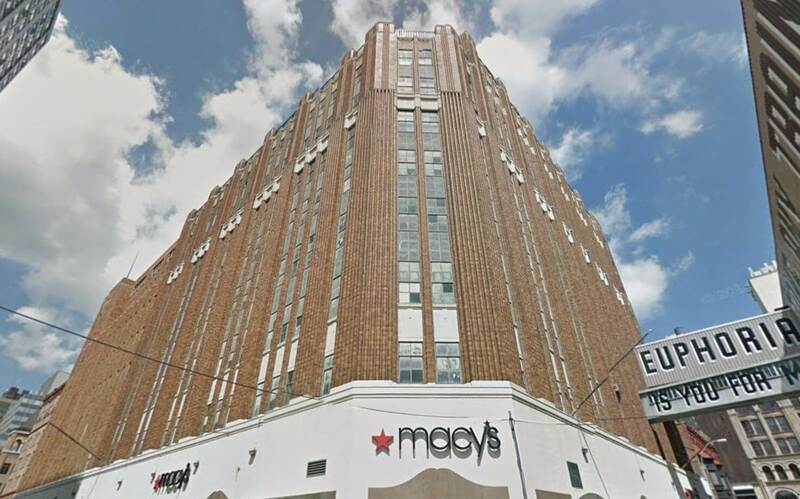 Macy’s is about to sell five stories of their nine-story building at 422 Fulton Street and the parking garage at 11 Hoyt Street (aka 217 Livingston Street) to Tishman Speyer for $170 million, according to Crain’s. Macy’s will consolidate commercial operations to 310,000 square feet, spanning the basement to the fourth floor, and Tishman will fund extensive renovations for those floor. As for the five upper floors Tishman is purchasing, those will be converted to office space and five more floors will be added up top. 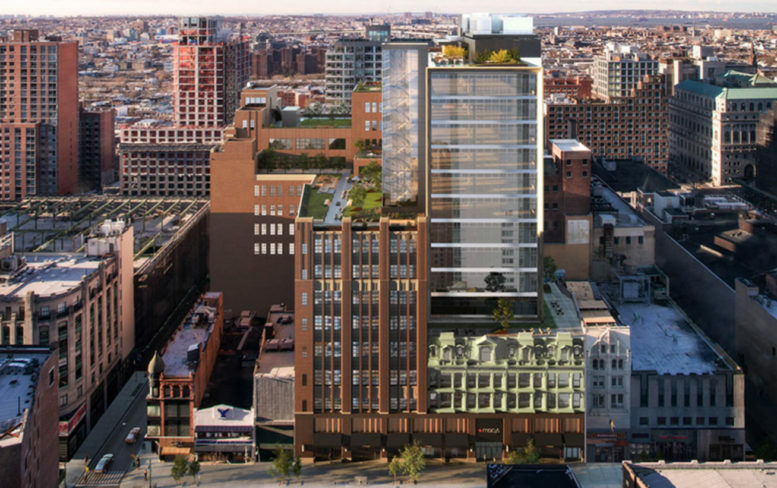 In the end, 10 stories of integrated office space is planned.